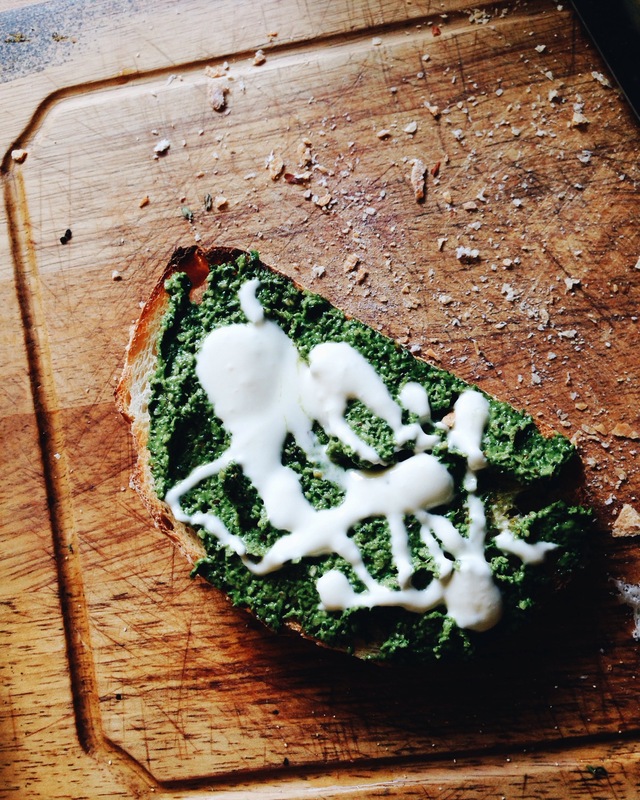 This pesto is Amazing. I can picture it with poached eggs, roast chicken, and/or pasta. My substitutions: I used toasted almonds instead of pine nuts because I forgot to pick up the pine nuts; I used swiss chard from my garden instead of spinach; and I used lemon juice/rind instead of preserved lemon because, again, that’s all I had on hand.